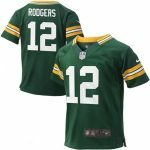 Spruce up your game day look by grabbing this Green Bay Packers Game Jersey. Not only will you celebrate the newest addition to the team, you’ll look amazing doing so! 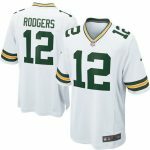 The bold Green Bay Packers graphics on this Nike gear will ensure you stand out no matter where you catch the next game.